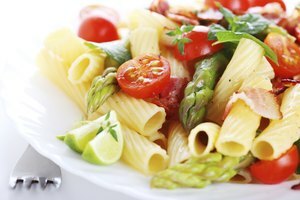 Spaghetti is a great choice for single-serving meals or larger dinners because it's relatively easy to prepare. 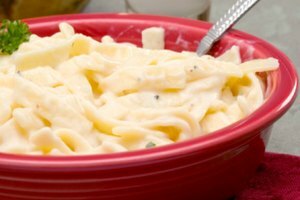 However, clingy pasta is super annoying; stickiness doesn't impact the taste, but it makes the pasta really hard to separate and eat. 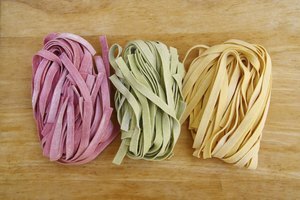 The secret to keeping spaghetti warm without sticking is to not overcook or dry out the pasta. Boil the spaghetti 1 or 2 minutes fewer than the recommended time on the package. Strain the spaghetti through a colander, but leave a small amount of hot water in the bottom of the pot. Rinse the pasta in the colander with cool water to halt the cooking process. This prevents the spaghetti from overcooking. Transfer the spaghetti back to the pot. Pour a small amount of olive oil over the spaghetti. 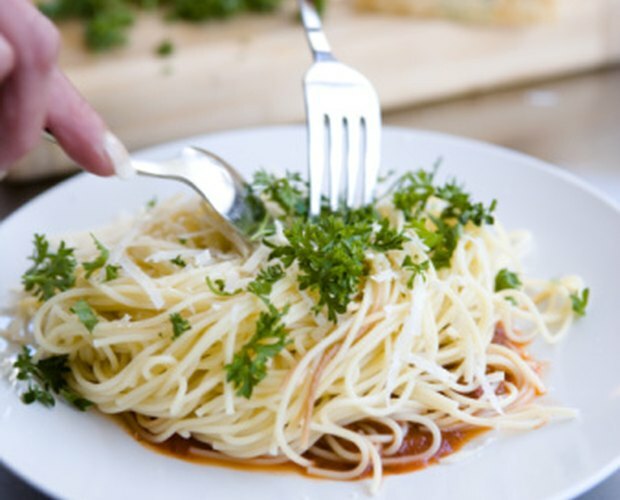 Use tongs or your hands to coat the spaghetti with the oil. If needed, add more oil until all of the pasta is coated. Place the pot back on the stove. Turn the stove to the lowest setting. Cover the pot to keep the pasta from drying out. Stir every 5 to 10 minutes to keep the spaghetti evenly coated with water and oil. If you have an insulated bag, place the covered pot inside to keep the pasta warm for transport.